Getting married under a chuppah is a beloved Jewish ritual, often paired with a festive hora. It is a mitzvah performed with much joy. Sadly, some marriages will end in divorce. There is a mitzvah associated with divorce too, but less well known, and obviously not widely celebrated. But maybe it should be. The ritual around Jewish divorce, the giving and receiving of a get, is a mitzvah that can bring spiritual closure and remind us of one of the sacred themes of Judaism, the gift of autonomous choice and personal freedom. We tend to think of mitzvot as happy occasions or spiritual highs. But the word mitzvah does not mean good deed, it means commandment. A mitzvah is an opportunity to infuse life’s mundane and important moments with transcendence. A mitzvah is a reminder that spiritual intent and meaning can inform every part of our lives, in joyous times and in challenging times. According to Kabbalah, Judaism’s rituals around death and mourning help ease the transition of the soul to its next phase, and bring comfort to the mourners. In the same way, the mitzvah of giving and receiving a get can bring comfort and help ease this painful time of transition. 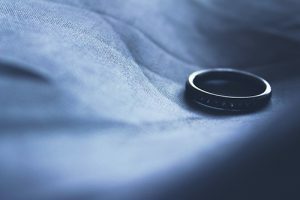 The words said during the get process can be healing, as they explicitly release the couple from the vows of marriage and pronounce them available to new relationships. In my work as director of the Boston Agunah Taskforce, I have seen women, from every background and affiliation, face a recalcitrant spouse who uses the Get to inflict pain, retain control, or negotiate a better settlement. For five years, we have advised hundreds of women; through accompaniment to the Boston Rabbinical Court, in person and by phone, and through questions posted anonymously on our support site, getyourget.com. Unlike a long drawn out civil process, the get process is usually quick and can bring some measure of closure at a very challenging time. Sadly, many men and women are denied the opportunity to perform this mitzvah and move on with their lives. Get abuse, a Jewish form of domestic violence, is often part of a pattern of abuse and control that begins soon after the wedding. Since the Taskforce was formed, as a project of the Hadassah-Brandeis Institute Project on Gender, Culture, Religion and the Law, we have learned a lot about get abuse. Contrary to the prevailing myth, get abuse is not only an Orthodox problem and women are not the only victims. Both men and women can suffer from Get abuse, although the consequences for women are much worse under Jewish law. Get abuse is prevalent throughout our Jewish community, as either party may seek the spiritual closure a get can provide for various reasons. But the most important thing we have learned is that couples often get bad advice about when to obtain a get. Less religious couples tend to worry about the get only after their civil divorce is finalized. More religious couples are often told that they cannot begin their civil proceedings until after resolution in a Rabbinical court. Both are mistaken. “GetReady” is a groundbreaking initiative of the Taskforce, encouraging couples to link the get to their civil divorce, by inserting a legal clause that helps ensure Get compliance. The reason is simple. Rabbinical courts, outside of Israel, do not have the power to compel either party to participate in the Get process. Through legal education and public awareness, we hope to make this legal clause standard in every Jewish divorce. In our experience, including language about the get at the beginning of a divorce negotiation, reduces the possibility of using it as a negotiating tool when tensions worsen. Rebecca is one women who was helped through the Taskforce. She was married for 11 years and has three beautiful boys. She suffered neglect and verbal abuse, beginning with her first pregnancy. When she finally had the emotional and financial capacity to leave, her husband swore that he would never give her a Get, thus preventing her from ever remarrying under Jewish law. Rebecca believed her community rabbis would find a way to free her, especially after she gave them evidence of serial affairs. Sadly, it’s been three years since the separation, and she is still an “agunah,” a woman chained to a marriage that is over while she is unable to move forward with her life. When we met Rebecca, she had seen many rabbis, but had not filed for divorce or contacted a lawyer. We advised her to file and to include the GetReady clause. For the first time, Rebecca sees a path to a new life, and her husband has agreed in writing to giving the Get. Sometimes divorce is a mitzvah, and our Jewish community needs to help ensure that this spiritual closure is available to every man and woman who wants it. On March 20th, we will mark International Agunah Day. It’s time to end get abuse and make the GetReady clause standard for every divorcing Jewish couple. If you know of someone thinking about divorce, please point them to our website, getyourget.com, for more information on GetReady, or to ask a question to one of our get consultants. Layah Lipsker is the director of the Boston Agunah Task Force, a project of HBI. Dear Layah, Thank you for your devoted and important work. But therein lies the catch. A get is not exchanged: it is presented to a woman by a man, who divorces her, even if he is a guilty party. It therefore may not bring spiritual closure but breed resentment and remain a trauma for her whole life. I wish I had this knowledge when I was going through my divorce.